The irrational fear of opioids, opiophobia, has plagued our country before. Prior to 2000, especially in the 1980s and 1990s, opiophobia ruled the medical community. Physicians and pharmacists alike reserved opioids for only cancer and surgery. The fear was that opioids used for more than a short time would cause overdose, death and addiction. The War on Drugs from the Nixon era caused non-opiophobic doctors to be targeted, arrested and disciplined. But then Dr. Russell Portenoy conducted research showing that chronic pain patients actually did well on these opioids, achieving an excellent quality of life with vanishingly few developing problems. Study after study was published supporting this viewpoint. Dr. David Fishbain found that opioids prescribed to non-addicts rarely resulted in addiction. Finally the government and the medical community realized that science and not fear should dictate proper prescribing policy. The American Pain Society spoke out and decried that a national epidemic of untreated pain existed in our nation’s hospitals. This led to the adoption of “Pain as the 5th Vital Sign”. In 2001, the Joint Commission mandated that hospitals across the country assess pain in each patient. The Veteran’s Hospital System did the same. Soon the government came fully on board to eliminate the scourge of opiophobia. The Federation of State Medical Boards, the agency that sets national standards for state medical boards across the country, adopted the 2004 policy on controlled substances. This policy was so opioid friendly that it required all physicians to adequately treat chronic pain, or else risk license discipline. The DEA was unofficially told to “leave them alone” regarding opioid prescribing doctors unless there was blatant drug trafficking. The pharmaceutical companies jumped on the train as well. They developed potent long-acting opioids that pain patients could conveniently dose at once per day. Over the next two decades, opioid prescriptions skyrocketed by 400%. High schoolers started stealing, using and in some cases selling their parent’s or grandparent’s pills. Greedy physicians built multi-million-dollar pill mills by trading cash for opioid scripts. And then the music stopped. In 2013, the Federation of State Medical Boards sounded the alarm that the new scientific studies showed little benefit from long-acting opioids, but a great deal of harm. The FSMB reversed their opioid-friendly rules. They published the new “Model Guidelines on Controlled Substances” which placed numerous burdens and restrictions on their prescribing. Quickly, all 50 state medical boards incorporated some version of these rules into their local guidelines. The DEA was green-lighted once again to pursue doctors. In 2016, the AMA dropped pain as the 5th vital sign. Opiophobia was once again alive and well. Finally, with a final swift blow in 2016, the CDC delivered the death knell, the infamous “CDC Guidelines on Prescribing Opioids for Chronic Pain”. In an unusual move, an agency that usually deals with communicable diseases like Ebola and Anthrax, and has no training in chronic pain, issued regulatory guidance in an area outside their field. With great understatement, the agency reported that these guidelines were meant only for information, and were not to be legally binding. But legally binding they have become. Every major insurance carrier from Medicare to Medicaid now uses these CDC guidelines as a sword to ruthlessly slash opioid prescribing. Today, opiophobia has reached epidemic proportions and has even surpassed the levels seen in the 1980s and 1990s. The CDC has reported an alarming increase in the suicide rate in 2018, citing guns, substances, and puzzlingly not chronic pain. Today, opiophobia is so widespread that even patients have it. My cancer patient with less than six months to live asked, “Maybe you should make my prescription for fewer pills; I don’t want to get addicted.” The DEA has cut opioid manufacturing quotas by up to 20% across the board. Even injectable pain killers exclusively reserved for hospital use are now in short supply. Now hospitalized cancer and post-op patients are facing inadequate pain control. The problem we have now is how to reverse the widespread epidemic of opiophobia. We could return to what has traditionally worked in the past; the use of education and science. Science cured our opiophobia in 2001, and it can cure it again today. Let’s return to the studies of Dr. Portenoy, Dr. Fudin, Dr. Fine, Dr. Chow, and Dr. Fishbain. Let’s return to rationality. They authored the best article on the subject of chronic pain and opioid treatment: “Clinical Guidelines for the Use of Chronic Opioid Therapy in Chronic Noncancer Pain”. It was published in the Journal of Pain in February of 2009. It advises the use of opioids, even above the CDC guideline limits, in selected pain patients with selected diagnoses. In my book, The Physician Primer; Prescribe Like a Lawyer, I rely on this article, authored by a panel of 21 national experts in the field of chronic pain. My nickname for the study is “Fast Food and Fine Chow”. If every physician read my primer: Prescribe Like a Lawyer, and they practiced by it, opiophobia could be eradicated. Let’s make opiophobia a thing of the past, like polio or smallpox. For more information, please refer to www.ThePhysicianPrimer.com. I am so sorry to all. Lysa, speak to all who will listen. I too have been gainfully employed as a physician. I am no longer able to do this work and also feel abandoned by every doctor I have seen. I have never had an addiction, have suffered through burns and other issues with no problems using medications appropriately in the past. Now, in another era of opioid fears, I have multiple musculoskeletal back conditions (congenital and degenerative) I cannot receive medication for pain, even for post-procedural pain. I have suffered kidney stones, surgical procedures and many other issues and am told that “acetominophen or ibuprofen should work just fine.” Due to my physical disabilities, I cannot even pick up things that fall to the floor, my house has become a massive “trip hazard,” I can’t prepare food or clean it up. I can’t carry out the garbage. I am not truly living, bedridden, —– yet my condition is TREATABLE. I could be living a full life. Why am I abandoned? 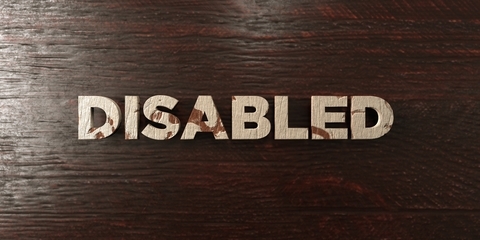 Why does the error of others lead to my disability, despite the fact that I am treatable? Abandoned, sad and angry. I was hoping that the AMA FINALLY speaking out, Human Rights Watch doing a report, multiple news reports (albeit not enough), and the CDC admitting (though quietly) their data was flawed would help to start turning things around for pain patients. Unfortunately, it seems none of those things matters, as the DEA is still the govt bulldog basically enforcing what they say are CDC “guidelines” , even when doctors are legitimately helping deserving patients. I was stable and doing well several years ago thanks to my PCP. I thought I might even be able to go to law school part time someday. Unfortunately,he ultimately got too scared to treat me, although he had me at the best I’d been. I found out the Dr that put my spinal cord stimulator (that doesn’t work and now I can’t get an MRI for MS until it’s out) was working as a pain specialist. The first year all was good, then all the SPECIALISTS at the pain clinic got too scared to treat people. My meds are cut by 90%, I’m bedridden and can’t even be with my son and husband. I have been a model patient and just had another surgery that didn’t work, however, I was still dumped by the pain Dr like garbage for NO reason, right after surgery. I didn’t do anything wrong. I found out about a doctor/lawyer an hour away and was told they’re accepting new patients, so my PCP referred me. Today my husband was told they wouldn’t be able to take me, my case is too complex…. it’s like it’s 1985 and have AIDS…. pain patients are being treated like lepers. I want to live and watch my son grow up, but the pain is so excruciating I want to be put out of my misery. I hate being a slave to pain or meds, but without my pain controlled I can’t even bear to exist. Apparently addicts’lives are more important and the powers that be don’t care about pain patients killing themselves because they can’t take the pain anymore. I’ve tried every non narcotic therapy available to no avail…. I guess this is it. Wow, what an article. It sure explains the decrease in my medication over the years, medication which is necessary for me to function on a daily basis. The doctors have their hands tied. How are we expected to improve and live our daily lives? I have lived with chronic pain for 18 years because of numerous issues: Spinal Stinosis, Osteoarthritis, Fibromyalgia, Degenerative Disk Disease….. The guidelines need to be reviewed and changes be put into effect only by those individuals who “know” pain! Wonderful statement! Please please help the doctors to stand up, show a spine. They have betrayed and abandoned their patients. I’ve seen ugliness from physicians I never thought I’d see, so awful. Someone needs to get them organized to take a stand against the tragic misguided tyranny of PROP, Kolodny, Ballantyne et al. I am a retired/disabled 58 year old ER nurse, who worked as an ER RN from 1987-2013. I observed the opioid trends throughout that time. The problem, from my perspective, has many components. There was always a “candyman”, a Doctor in the community who was liberal in prescribing opiates. As well, people surfed ERs with bogus complaints (and often bogus demographics and ID) and scored opiates, back when we called them narcotics. At some point I noticed a big increase in mostly women being prescribed very powerful opiates like fentanyl patches and hydromorphone and methadone for fibromyalgia and low back pain without injury or disc issues. Then in the 2011 or so time frame the history of patients’ controlled meds could be accessed from the Board of Pharmacy along with where when and WHO prescribed them. This, along with ERs and Urgent Cares no longer prescribing opiates for chronic conditions, brought most of the liberal prescribing to a screeching halt, and yes, there was much screeching by patients who were quickly placed on tapers either waaaay down or off. I never took an opiate until 2015 stronger than Darvocet N 50. I have Lupus, spinal stenosis, chronic joint pain, chronic abdominal pain, and I have had to swallow my pride to get pain management so I can have a quality of life. I drive 95 miles round trip to see my pain specialist. My Doctor is very thorough, but most pain clinics locally are not pleasant places and offer little if any education. This I offer in conclusion, not saying that it was the cause of my son’s death, I want to be clear, but to offer as a consideration. He was 21 years old, had 6 bulging lumbar discs and many odd symptoms such as brain fog, urinary retention, and RLQ pain even post appendectomy. He was started on Suboxone, and was pronounced brain dead 5 days later. He died from cerebral edema and a herniated brainstem, on Father’s Day June 17, 2018. I bore witness for almost 3 years to his overwhelming pain that no one would treat. Thank you. We need professionals to speak out. We the patients are being ignored and labeled. Thank you, Dr. Grolig. I have ordered your free guide. Not only is opiophobia a new diagnostic term (or, it should be), there’s also the huge & ever-growing Church of Opiophobia, started & perpetuated by Kolodny, Ballentyne, & all the other money-grubbing sadists of PROP. They started the most fact-free, effective propaganda campaign since Joseph Goebbels (I’ve often wondered if the PROPgandists are so arrogant that they deliberately used that acronym, & my answer to myself is always, “YES”). Like all extremists, fundamentalist, evangelical churches, their dogma is completely devoid of facts, based entirely upon belief, ignore and actively go against evidence. Their propaganda campaign has relied on repeating over & over, at ever-increasing volume, their dogma of lies. The leaders of the Church are determined to force everyone into becoming converts at the point of a sword (legislation & physician blackmail via the DEA), they’re happy to use lies & threats to ram their dogma down people’s throats, they condemn heretics & non-believers as worthless sinners (i.e. addicts) based upon no facts, and, at base, they’re really out to make billions off their converts, whether voluntary or forced (their chain of addiction treatment centers). This whole thing is not only sadistic, insane, immoral, & unethical, it goes directly against the Constitutional separation of Church & State. The minor fact that these bigoted zealots have not formally applied for tax-exempt status is irrelevant; they’re forcing the entire country to fall in with their beliefs. And the sheep politicians & bureaucrats & willfully ignorant ‘civilians’ are falling right in line & drinking the Kool-aid. It’s criminally tragic that the people that will die in this latest Crusade will be chronic pain patients and not the leaders of this demented, sadistic religion. To All: I have included a 50% discount code to the Pain Patient Handbook for all pain-patient-readers of this article. Please read my blog post 1/22/19 on http://www.thephysicianprimer.com regarding where we go from here. We all can make a difference! Thank-you for all you do to help us. An excellent overview of how we got to our present state of very poor pain care. As both a physician and chronic.pain patient I am appalled at the sadistic nature physicians. 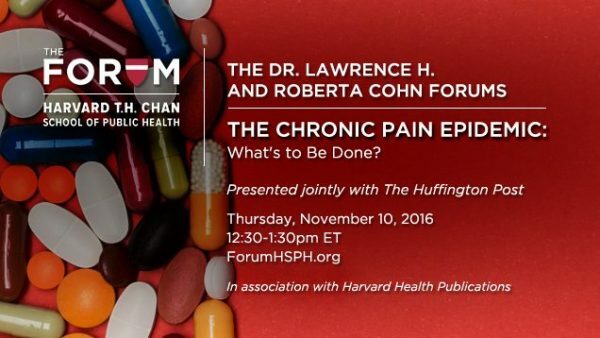 There are an estimated 11 to12 million high impact chronic pain patients who should be on Chronic opiates/opioids. Chronic Pain ever seenPatients are astounded by the doctors.compliance with the current opiophobia. On Twitter I am one of only 5 or 6 HRs to raiders c all to all cocerned. As.I have said, Morphine and it’s relatives are truly God’s Medicine as.my hero.Wm. Osle r MR once said. The U.S. Medical system has turned away.from practicing Humanistic Medicine after more than a hundred years. 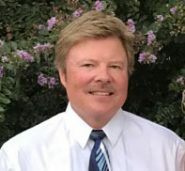 Thank you so much for this article..u know my hubby has been a pain patient for over 20 yrs and was for years ashamed of the fact that he need pain meds.He hid it and when nurses or others in medical community downplayed his pain or symptoms he started to hate himself for having no other choice.i have since become his advocate because of current opiophobia.I have done tons of research and I am so dam angry at how opiophobia in the medical community has made my hubby ashamed of himself and his rare incurable painful diseases.This is America not Nazi Germany! I can’t believe still that this is happening here without resistance! When will science prevail? When are american citizens going to see that pain patients have suffered enough! They are not lab rats to be experimented on.Why does the medical community think it’s ok to take oral meds away from pain patients that were stable to try invasive treatments or things that have already been tried?Why is our government sacrificing pain patients to say it’s saving addicts when it’s not? What a fine new diagnostic term – “opiophobia.” It describes a widespread condition among most of the public, spawned by the powers-that-be (policy makers and the compliant media) whose intentions for anything but power are non-researched and ill conceived. The fifth vital sign is relatively ignored by most medical professionals. I wonder how many intractable pain sufferers aspire to hospice care, so they might spend a few days at the end of life with some respite from the hourly agonies of trying to remain on the earth. The Hippocratic oath involves “do no harm” and prescribers have within their conscious to discern what that means when it comes to the maligned pain medications. In the current autocracy practitioners are losing options. Thank you Dr. Grolig for your efforts to bring light to the topic. Exactly what I was telling a friend not even a hour before reading this. I have been a pain patient for almost 20 years and i’ve consulted with every “ist” gastroenterologist, endocrinologist, gynecologist, yada yada and all agreed that the meds and other self care I and my pcp had settled on worked well. Along with the partial bowel obstruction because of scar tissue from a cesarean section I’ve been Type 1 diabetic for 43+ years AND was only born with 1 kidney. One, at tops two time release oxycontin and I was still able to function, no ups and downs that make it so hard to parent, basically live. My Dr was threatened with losing her license and I went in for my usual appointment and was told sorry, too bad and given a Google list of pain management providers, most of the phone numbers were inaccurate. I’ve got 300 thousand in accidental death insurance and right now I’m thinking at least I would be able to actually help my children if it goes to it. Oh the amount of suffering going on right now. I think social media has created a perfect storm to spread opiophobia, that, and apathy toward the cries of the millions who are being tortured. I cannot believe we live in the supposed home of the free-America, when we cannot be free from the human rights disgrace plaguing us. How much more can we take? Where are the investigative reporters from mainstream news? They are all so consumed by partisan politicking they cannot hear our cries, or worse yet, they don’t care, bc it’s not them. We are infected with propaganda and fear mongering about these life saving opiate medicine. Not only that, but the greed and lack of empathy is pallipable. Don’t Punish Pain Rally nationwide 1/29/19 It’s the only way to fight, and I will crawl there if I have to. Please join us! Dr Grolig please contact the news outlets and get the facts out before we are all dead. Also try to contact some of the most powerful congressmen. They might at least listen to a published doctor. Please sir keep trying. Thank you for your article, I was beginning to think all of the educated people fled the country. I am a chronic pain patient who is a RN and never abused my medication, and never will. I need my Nucynta 100 mg Q 12 hours just so I can get up and walk around my home, going through my ADL’s. I had a MD tell me not to take pills at night as I may not wake up. Please wake up and take care of us with chronic pain. It breaks my heart to read these comments. I can empathize with all of you. I live in pain and fear of the day that I can no longer endure it. May God have mercy on my soul when that day comes. If only you could get in front of the CDC and the media to educate them. Because the CDC “lumped” all the meds into one classification “opioids”, the media announces an overdose and has no clue what the cause is. Therefore, the entire population has opiophobia. CBS and NBC are particularly guilty of this. They don’t tell the public that Fentynal and Herion were the cause of the death. I have friends who believe oxycodone, Fentynal and Herion are one in the same because of what they have heard on the news. The media never presents the other side and what is happening to the chronic pain patients. FOX made an attempt at it, but it needs to reach a larger audience. Please Dr. Grolig, try to get attention and make a difference before it is too late. To All: You can get help by going on my website: http://www.thephysicianprimer.com Although many articles are geared mostly toward physicians, you might find the blog posts interesting. You can order the free flyers for free to get your doctors on board. I will be posting a coupon code for discounted Pain Patient Handbooks for all readers of this article later today. I finished my previous comment by using Bernie Sanders as an example of someone who could give us a voice. I just sent him an email asking him to be our voice, maybe he will. I trust him totally, he is a good man. So I’m doing all that I can, you should too. Contact a public figure who you believe in. God bless. I appreciate all of the info you have given us, truly. So please don’t misinterpret what I’m going to say. We all know about all of the misinformation that has been published and how many lives have been taken as a result of overreacting by our government. But I have to ask again and again, what can we, as chronic pain patients, citizens of the U.S. with the rights for adequate medical treatment? Tell us what to do and we will do it! We’ve all been contacting our government officials and complaining loudly but it’s not working, so again I ask you, what can we do? I believe everyone of us is willing to do whatever it takes to get our lives back, we just don’t know what to do. What we really need is an advocate with a voice, a Bernie Sanders, or alike. My voice is not being heard and my life at 60 years old feels like it’s over. Thank you for all of your info but I ask you again, what good is it doing? I hate to be so negative, but I have been a pain patient for many years. I have been as one would say, a model patient…I live in Arizona, and sitting in the pharmacy last week and being told that not my doctor, pharmacy, but now the insurance company Will not allow them to fill my measly little prescription for my pain medicine until exactly 30 days just blows my mind… I am absolutely disgusted with all of these hoops we have to jump through. The new pain contact I just Had to sign is absolutely ridiculous. All of us will and should continue to fight, but the bottom line is I really Doubt we’ll ever see a day when Doctors will restore our pain Prescriptions to a reasonable level, it’s never going to happen!! They are not going to, even if the future pain patients aren’t hit as hard as we have been, they are not going to admit that it’s all been a horrible nightmare. They took my anxiety medicine away from me, after being on that for eight years, I had to make a choice, LIMITED pain medicine or my anxiety medicine Which helped as a muscle relaxer as well…what a choice to have to make!!!! Patients…look at the cold, hard, truth, we take one day a month out of our lives and DRAG our selves to the pain doctor, jump through all the hoops, do whatever we are asked, pay our money, so that we can exist for one more month. When this is all said and done, I truly believe that All of us who have survived will not be allowed to return to a level of pain control that makes us comfortable. I pray every day for us to remain strong in this war. Well first of all kudos to Dr. Fishbain! Amazing how one man helped billions of people! From the sounds of things the man just wouldn’t give up! Secondly, we’re not high schoolers here and we’re certainly not greedy physicians! If folks don’t know by now to lock their medicine up in a $20 lock box from Walmart, something’s terribly wrong. That way it keeps the children, the plumbers and whomever else you may have in your home that thinks they’re just going to help theirselves to what is yours out. We all know it’s not our life-saving opioid medication that’s causing the problems and I think they do too! We all know it’s the illegal heroin and fentanyl that are ever so prevalent. I read a study not long ago that opioid deaths are still on the rise. Well with this drastic cut back just how can this be?? We the pain patient are down to almost nothing. Also a statement accompanies the Weather Channel on my phone stating opioids cause more deaths per year than car wrecks. Pathetic it doesn’t break the statistics down of just what kind of opioids they’re speaking of. I’ve read an incredible amount of information although I’ve yet to read or hear about when our life saving opioids are mixed with alcohol and other illegal drugs, then yes it will more than likely cause some serious issues. Let’s face it, the prescription bottle doesn’t say to take with alcohol, nor mix in any unprescribed drug one deems necessary. Other than a few websites I’ve yet to read that when they are prescribed by one’s physician and taken properly they are life-saving not life-taking. I also think it’s a shame that one man “claims” to have the answers yet other physicians have to read his book to get them, especially when there are billions of people suffering needlessly not to mention committing suicide due to stupidity in our government AND ELSEWHERE. I may be blessed but that doesn’t mean I don’t get incredibly sick and tired of hearing what was, what is and what could be, if only…. The person who has a few months to live has clearly not been talked to by doctors,nurses and any other professionals they encounter.Also where are the facts for them. They should be feared they destroyed 15 years of my life! RSDS patient. You need to know that I greatly appreciate your willingness to address the opiate issue. Well written and right on. Opiophobia is a great way to describe what Tom Szasz and many others have described in previous decades. Excellent article! Let’s get back to the basics of pain control and end the opiod phobia that is gripping the nation at this very moment. So much harm is happening to those who need opioid medication and to those who prescribe them for their patients. All doctors should be given the handbook you wrote; Prescribe like a Lawyer, and then I would suspect that this opiophobia would be short lived. I would also send the handbook to state and federal regulatory agencies, patients and caregivers. Now the question is, how can this get done ASAP? ti essencedestroyed myyou me i do not have. igot hurt on the job in 1988.rsd set in.the pain clinic i went to tosed me out for smokeing a joint after my treating dr. cut me completly off after the letter first do no harm right. i could not even get a dr. to treat my blood presser i was suddenly a political night mare.that is what i am told.3 yrs later my presser hit 315 no i have less than 1quarter of a heart an a massive stroke to contened with.i never failed a drug test never failed a drug count.now when i go to the dr. i get bitched out because over the blood presser an told we will put you on anti deppresants.like talking to a goddamb wall i am not deppresed i am extemely pissed off i am dieing at 62yrs of age an can not for my very life get treated for what is clearly killing me. i am a person who never refused to help anyone.you do not get out till you put somrthing back was my motto.my life exploded an all i get is i do not understand you look fine we can fix the heart NO MORE you have destroyed me my very being an i am soorry i do not get it.an all junkies deserve an AIR BUBBLE!!! Gang warfare that broke out in Mexico killed 100,000 people and left another 100,009 missing and presumed dead. These terroristic acts drove additional hundreds of thousands of Mexican citizens to pay gangsters for “sanctuary” in the US, where they live with no legal rights whatsoever because gangsters illegally smuggled them into our country and kept the money, that was supposed to pay for immigration permits. The Fentanyl death epidemic began almost immediately thereafter. Because our mass media are in a total state of denial about El Crimen Organizada, it is understandable why.state medical boards responded as they did, to the Fentanyl death outbreak: They did not realize the country was being flooded with Fentanyl-laced mixtures of illegal drugs made in clandestine laboratories by Mexican mobsters. We wasted the last 2 years pretending that Mexico’s problem either doesn’t exist or should not concern us. Opponents of organized crime who seek secure borders are denounced by ignorant Hollywood celebrities as supposedly bigoted against Mexican people. It became obvious that members of both political parties are complicit in giving aid and comfort to gangsters, as the Government Shutdown continues, The paranoid witch hunt against doctors and patients and Hollywood’s irrational romance with Mexico’s gangsters are parts of the same problem. 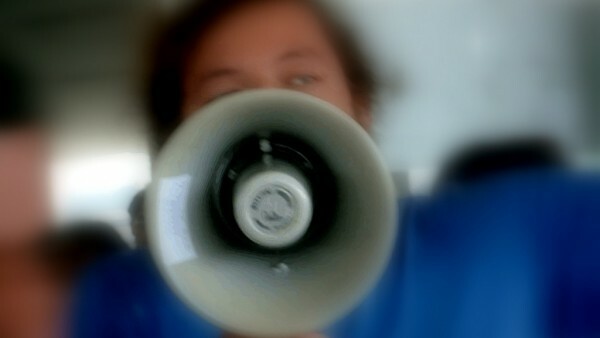 You are talking to the chior! Right, the chior is DISSAPEARING FAST. If it can be done again how about a second article on that with specufic steps fast? It’s been two years for me, two years without any pain medication. I can and do get steriod injections. The injections help. However, they do not allow me to work or do anything other than sit in a chair. I’m a prisoner in my house. I went to the hospital and they gave me two 5mg hydrocodone, one ultram and 10 muscle relaxants and 28 naproxen’s (after two naproxen’s) I could feel my stomach Turing as if I had food poisoning. The first night as I lay in bed, I could taste stomach juice than ran into my throat and up my nose, off sensation and a nasty taste. (I will never take that medication or anything like it again. I didn’t go to the hospital for back pain to come with a stomach ulcer, or worse!!! I have gained 74 pounds in the last two years, I have two T-shirt’s and two pair of pants I can wear. My foot size has increased one inch, now my shoes do not fit. I’m 48, I met with my pain doc, and no medication just another injection (his hands are tied) the injections are all I can get. Someone please tell me what can I do????????? Very informative, Dr. Grolig. None of the recent changes pertaining to legitimate use of opioids will have a negative impact on the illegal drug industry. These changes are actually prompting people to seek illegal, and therefore dangerous, opioids. People in pain do not experience euphoria consuming appropriate amounts of analgesics. People who abuse narcotic analgesics and COCAINE to induce euphoria are the ones becoming addicted and are the ones who are dying. Why must sick people suffer because of the actions of the stupid? In my day this was called stereotyping. The DEA has failed and now they are empowering the CDC using a legal loophole. If narcotic medications were accounted for like money, there would be very little diversion. Hospitals have no problem accounting for their anesthetics. It is obvious that the drug manufacturers and the large pharmacies are the source of the problem. The new rehabilitation programs appear good on the surface, but rehab cannot stop pain. I have been praying to see the light at the end of the tunnel. My disease, aka the “Suicide Disease”, described in detail within the medical journals as the worst pain known to mankind yet I am begging for help nearly every doctor visit, to NO avail. My pain is insignificant to them & their fear of BIG brother is much greater. My nerve disease & pain is not under control and recently I have been diagnosed with cancer. My anxiety is at an all time high knowing a whole new rush of pain will eventually pour over my damaged body. I am broken. I am broken mentally, physically & absolutely spiritually and I want to give up. I hate to say this but The “Suicide Disease” has that name for the same reason that pain patients are dealing with now…. No relief with no compassion equals that end result after years of suffering. I used to wish that my doctors would be stricken with my disease just so I could see how they would handle the severity. As of late, I just want to throw in the towel, give up. The doctors, CDC & politians go about their daily life after creating hysteria and helping to create opiophobia. As in recent history, while chronic pain patients can barely get out of bed to use the bathroom! I beg for any higher spirit or governing entity to help before more of pain patients are in the ground and NOT because of an overdose! 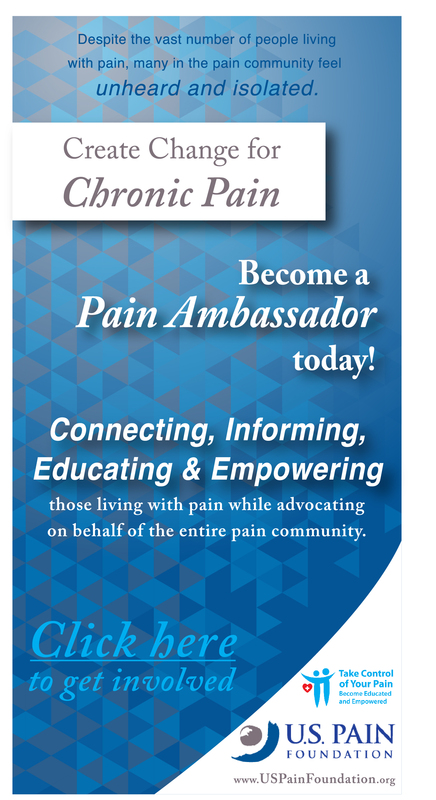 If you , this reader, is not familiar with the topic & studies please read the statistics on chronic pain patients…they typically do not abuse opiates, they are their lifeline….the lifeline that has been slowly tapered or even taken away! I appreciate your time reading. Please Google the disease name and/chronic pain patients. We need help with this battle. The death toll will not change and will continue to climb , As in this opiate crazed nightmare. Thank You, I appreciate you! I was on Opioids for years without getting addicted. 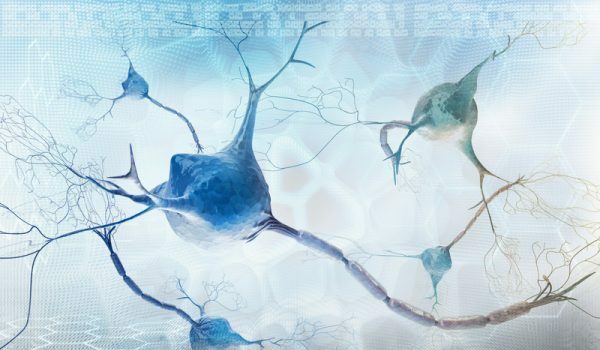 I have been diagnosed with Multiple Sclerosis for 23 years. Living with Chronic pain is no joke,. Until 2 years ago when the Government said No More patient medicine because of folks misusing of the pain medicine, like crushing to snort or injecting the medication. But what about us people who did nothing wrong we have to suffer now. Why? I was on pain management for 10 years and 2016 they were taken. I am suffering. This is so enlightening. Thank you Dr. Grolig, for not pulling your punches. I wonder how many hundreds of thousands of responsible elderly people are in severe stress daily, not only by virtue of their unremitting pain but also because the ONLY thing that has proven to moderate THAT INDIVIDUAL’S chronic (intractable) somewhat, after years of trying every other approach, is under siege. I know such a person, and have been married to her for 50 years as she raised our family, got herself a science-based PhD, taught at universities, did genetic research, and was uniformly admired by students, colleagues, and many dear friends That glorious life has been stolen by debilitating pain. You want to see a REAL and growing crisis, an epidemic, a threat to longevity and a rash of suicides of 70- and 80-somethings? We are being pushed toward precisely that scenario through organized irrationality. It borders on a crime against humanity and unwitting torture. Those are strong words, but sincere ones. Thank you for taking our side publicly. And, we admire you for assisting fellow doctors who strive to right thing for, their patients … despite the horribly misguided pressure to turn their backs on them.